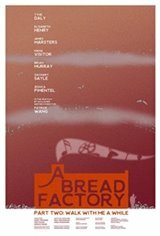 At The Bread Factory, they rehearse the Greek play, Hecuba. But the real theatrics are outside the theater where the town has been invaded by bizarre tourists and mysterious tech start-up workers. There is a new normal in Checkford, if it is even really Checkford any longer.